Confirming one’s faith in the Church is an important stage in Christian life. Confirmation Class prepares youth and adults to make a public affirmation of their faith and commitment to the responsibilities of their Baptism. 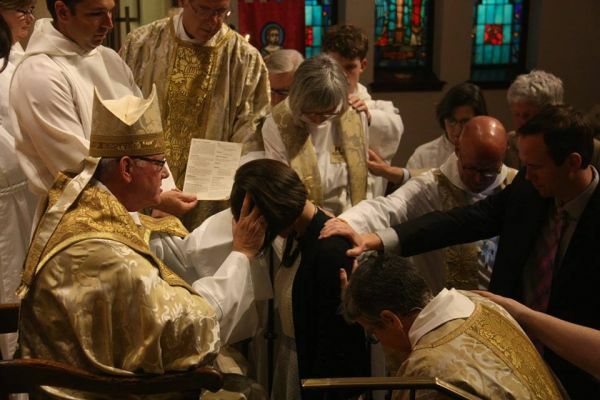 Confirmation in the Episcopal Church includes the Bishop laying hands upon one’s head and praying for the Holy Spirit to uphold this person in his/her ministry in the church. Confirmation instruction centers on many different areas of Episcopal life including theology & Scripture, liturgy, the Book of Common Prayer, church history, and the sacraments. Saint Paul's Confirmation Class is for any adult or youth (grades 8 and higher) desiring Confirmation (and/or Baptism), Reception (if confirmed in another Christian faith tradition), or Reaffirmation (renewal of the sacrament of Confirmation), or for those who simply desire to learn more about our faith traditions. Our traditional time for Confirmation instruction is during the season of Lent with Confirmation at the Easter Vigil on Holy Saturday. Thank you for your interest in Baptism, Confirmation, Reaffirmation or Reception. Kate Huston, our Director of Formation, will be in contact to follow up with you regarding your interest.